There are only subtle differences between healthy and cancerous cells in the body. Because of these differences, it is difficult to attack cancerous cells without harming healthy body cells. However, depending on the stage of cancer and what type it is, there are several possible treatments. Surgery is used commonly to remove the area ‘infected’ with cancer cells. But if surgery will not remove all of the cancer, options such as radiation and chemotherapy are used. 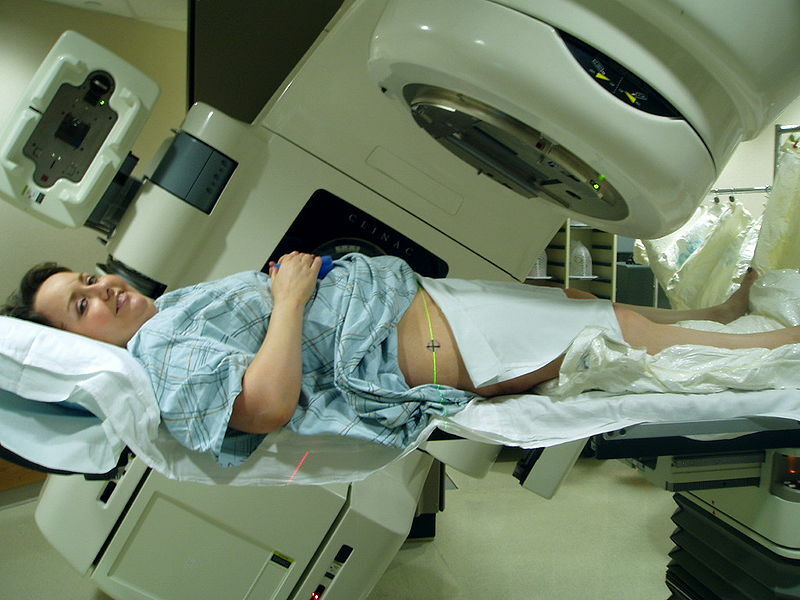 Radiation therapy involves applying high energy radiation to the problem area. The radiation will kill off cancer cells by damaging their DNA. But it will also kill normal cells: it is indiscriminate. Because of this, many side effects can result but used carefully, this technique is very effective. The patient is given a drug which is sensitive to a certain wavelength of light, for example red light. This drug will accumulate within all cells, with more of it in cancer cells. A red light laser is pointed at the precise place where a tumour has been identified. The drug in the cells that this light touches is then activated. The light activates the drug to react with molecular oxygen, forming highly toxic hydroxyl radical molecules. These produced radicals will interfere with the cell DNA and cause cell death. 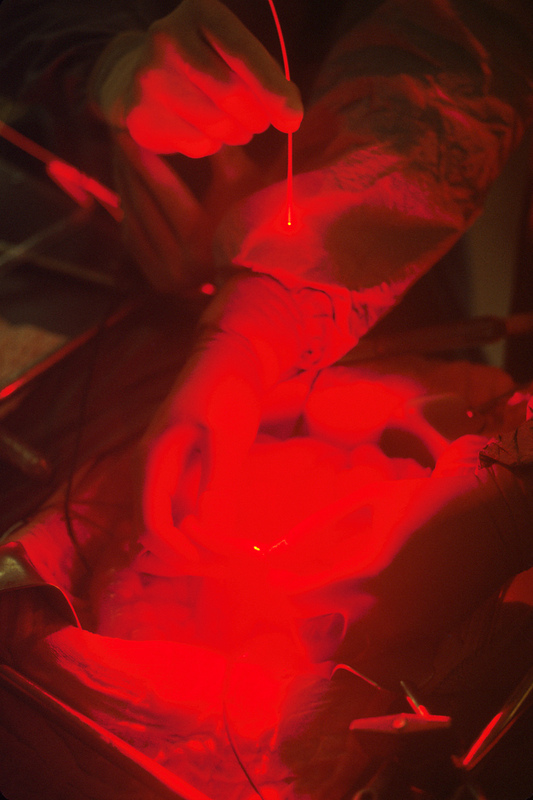 A surgeon points a red laser at a tumour site in photodynamic therapy. Source: National Cancer Institute, John Crawford. However, there are problems with this therapy as well. One disadvantage of PDT is photosensitivity. Once the drug has been activated and killed the cancer cell it was in, it is free to circulate around the body and accumulate in eyes and skin. This causes the patient to become very sensitive to light and so it is necessary to avoid sunshine for some time after this therapy. A further disadvantage is that the light needed to activate most of these photosensitive drugs cannot pass through much more than 1 cm of skin so the targeted tumour must be fairly close to the skin surface. So it would be worth starting to make some life-style changes. Cancer is an incredibly hard disease to treat successfully. However, new and improved drugs and technologies are being introduced all the time to fight cancer.